I spent six months at Prof. Becker´s Lab in Erlangen, before I took the chance to work at the Flavell Lab at Yale University in New Haven, CT. 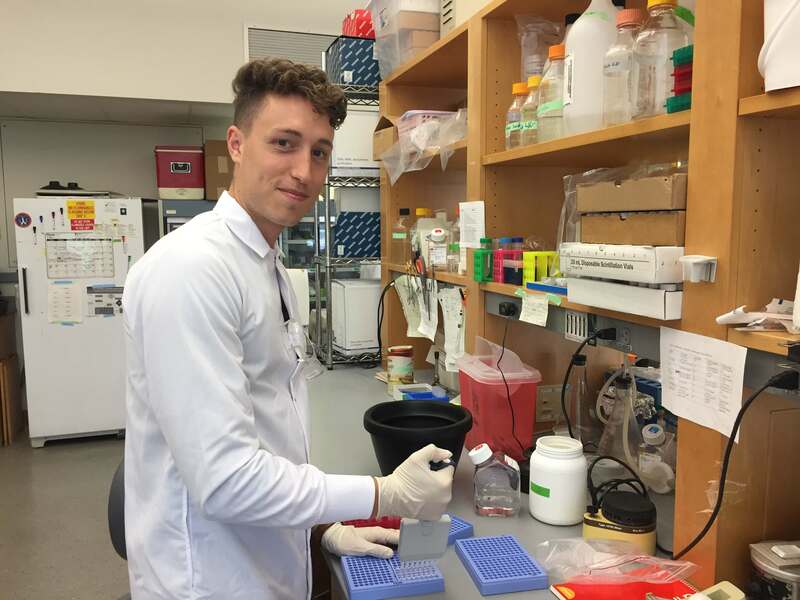 I believe that research is a key component of the medical field and in my opinion, it is crucial for medical students to get an insight, especially into experimental research. Participating in the TRENAL program, I learned how to perform different scientific methods and how to interpret papers and publications. Now I feel confident to work independently in a scientific environment. Yale University, as one of the most distinguished institutions of research, offers numerous opportunities for motivated students and due to the overwhelming amount of talks and discussions you get to know about nearly every scientific topic of interest. Besides the educational aspects, New Haven offers a wide variety of activities and you get involved with people from all around the world, which improves the international and intercultural exchange. I feel honoured to be a part of the TRENAL program and I am grateful to Prof. Dr. Margarete Goppelt-Strübe, Prof. Dr. Christoph Becker, Prof. Dr. Felix Knauf, Prof. Richard Flavell, PhD, FRS and DAAD for supporting me during my exciting journey.